Before working with Caitlin, I had lots of things I wanted to accomplish but didn’t have the discipline or patience to really put my goals into action. I was caught up in stress and the useless cycle of being trapped in my thoughts. Caitlin helped me free my mind up, get clear on my motivations, and align my life with my priorities. Together, we translated my goals into a concrete plan-of-action, and she held me accountable to making progress each and every week. 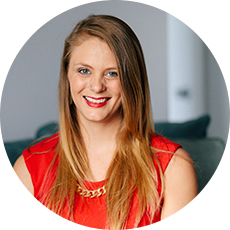 Caitlin’s expertise in psychology and as a life coach go hand in hand and create an environment for achieving the life you want for yourself, both personally or professionally. Furthermore, she is skilled in the use of meditation and yoga and uses these tools to help you advance towards your goals with a peaceful state of mind. This holistic approach is not an easy thing to find. As a result of our work together, I’ve become much more committed to my biggest goals, and more patient and kind to myself in the process. I look forward to continuing my work with Caitlin and would recommend her to anyone who is seeking guidance in getting more out of the life they are living.